January 2018 Meeting | Roswell Lions Club, Inc.
Our speaker was Richard Loehn, retired NASA engineer. Doctor Loehn shared stories about the early days at NASA, accomplishments and challenges. 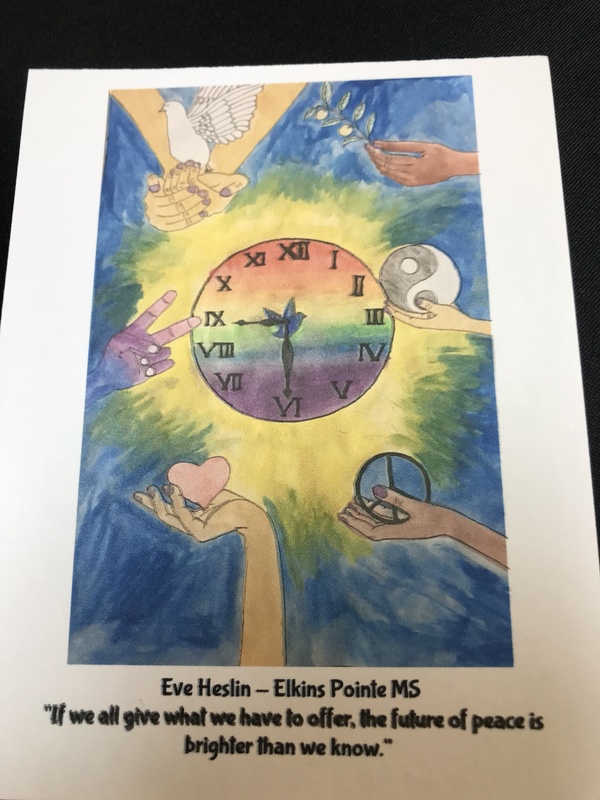 The club recognized our Peace Poster Contest winners from Elkins Pointe Middle School and Queen of Angels Catholic School. 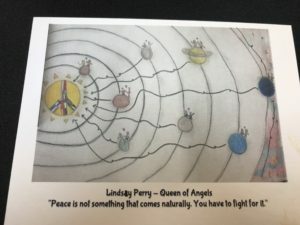 The theme this year was “The Future of Peace”. Lindsay Perry from Queen of Angels Catholic School and Eve Heslin from Elkins Pointe Middle School. Both winners received a $100 check for winning and their posters were advanced to the District 18-L contest. The Roswell Lions voted unanimously to support the nomination and election of Lion Jonathan Crooks as Second Vice District Governor of District 18-L.
310 pairs of eyeglasses and 4 hearing aides collected since the December meeting. 3 vision assistance referrals since our November meeting through North Fulton Community Charities and Recreation and Parks Health Fair. $1,200 plus raised at the January 19th GET Dress Rehearsal. Saturday, February 24, 2018, 10:00 a.m., Roswell Green Expo, Roswell Area Park, 10495 Woodstock Road, Roswell. We will have a booth for recycling eyeglasses and hearing aides. Saturday, February 24, 2018, 4:30 p.m. – 6:30 p.m., Wine Tasting at Vino 100, 131 S. Main Street, Alpharetta, $10 admission (we keep $5 which goes to the purchase of vision screening machine). Tuesday, February 27, 2018, 7:30 pm Dress Rehearsal at Georgia ensemble Theatre, A Comedy of Errors. Friday to Sunday, March 16 – 18, 2018, District 18-L Convention at Cohutta Springs Conference Center, 1175 Cohutta Springs Road, Crandall, GA 30711. Next Board Meeting, Monday, February 12, 2018, 6:30 pm, Provinos – all members are welcome. Next Club Meeting, February 26, 2018, 7:00 pm – Adult Recreation Center, 830 Grimes Bridge Road – Vision Care , Doctor Scott Moscow, Roswell Eye Clinic. 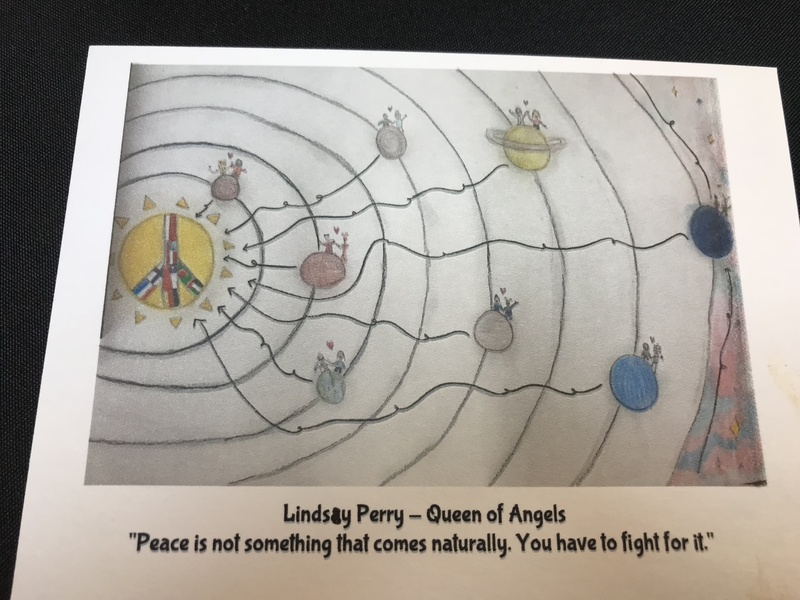 This entry was posted in Newsletter and tagged Newsletter, Peace Poster Contest, Roswell Roar. Bookmark the permalink.